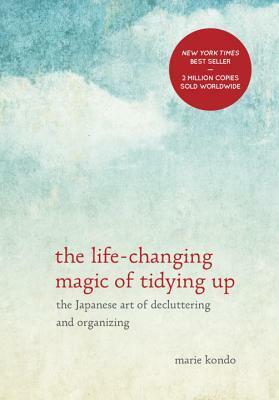 The Life-Changing Magic of Tidying Up by Marie Kondo was a Mother’s Day gift. My daughter knows I am always trying new organization methods and thought this book sounded right up my alley. The central tenet behind Ms. Kondo’s system is the idea that all the items you own should bring you joy….asking this question “Does this item spark joy?” The book is really about culling your items and not relying on complicated and/or expensive storage options. There are some helpful practical hints but the majority of the book focuses on being able to let go and questioning why we hold onto specific items and being grateful for the times we do use and keep. This was a very quick read and I did find myself marking passages to return to later. The book is written in a very personable manner, as though Marie Kondo is speaking directly to the reader. i enjoyed reading it and will put some of the practices into use. I would recommend it for anyone who is interested in self-help books of the organizational variety . Shepherd’s Cross is a supernatural thriller set in a small, remote English Village. In the opening scenes, a farmer stumbles across a horrifying altar erected on his land with in the sight lines of an old “abandoned” manse. He involves the police and the investigation takes off at a hectic pace as bodies and crimes begin to accumulate with no seeming concern for the police who are investigating. The plot was interesting and involved satanic rituals, virgin sacrifices, and the dark history of the village with a side plot of romance for one of the police officers. I did feel that it was too rushed and this did not give the characters a chance to develop fully. But overall, it was a decent read.